Dry cleaning workers and people who live near dry cleaning facilities or metal degreasing operation are exposed to Perchloroethylene (Tetrachloroethylene). Report by Phone, Fax or email Original report by mail. The ACS badge sampling involves no liquid and mechanical pumps. 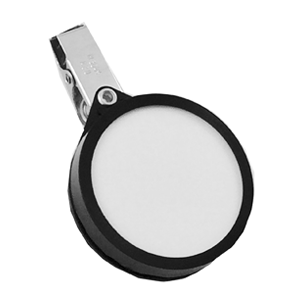 Workers can clip the badge near the breathing zone to measure personal exposure or place it in a room to measure area concentration. Mail the badge to ACS Lab in the envelope provided. The analysis reports are available within 48 hours after the samples have been received. Long-Term Exposure– Numerous studies of dry-cleaning workers indicate that long-term exposure (9 to 20 years, for example) to workplace air levels averaging about 50,000 mcg/m3 to 80,000 mcg/m3 reduces scores on behavioral tests and causes biochemical changes in blood and urine. The effects were mild and hard to detect. How long these effects would last if exposure ended is not known.